From 2013 to 2014 Pacific Spaceflight was the U.S. arm of Copenhagen Suborbitals, “a non-profit, open project, amateur based space endeavour”. Recently awarded the Fédération Aéronautique Internationale (FAI) Breitling Milestone Award, Copenhagen Suborbitals has tested many rockets and guidance systems, using liquid propellants and a unique offshore launch and recovery fleet. 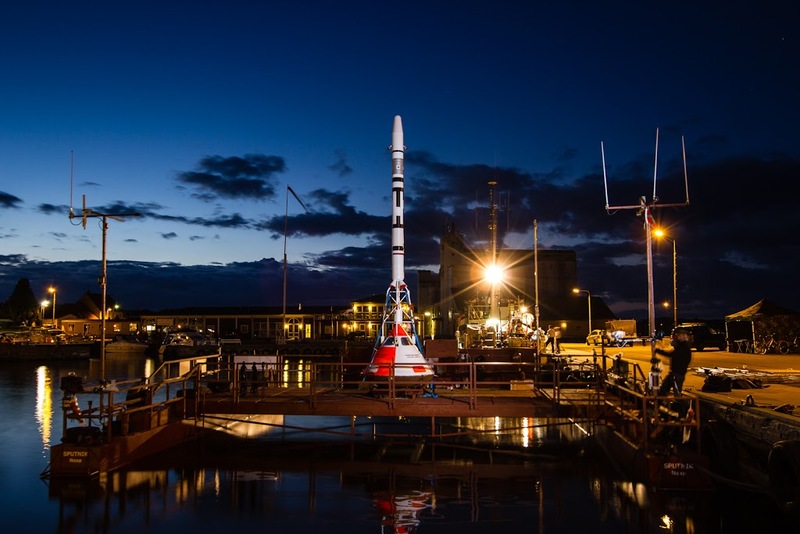 Since Copenhagen Suborbitals changed their capsule configuration in Summer 2014, Pacific Spaceflight is no longer involved in providing a pressure garment for that mission. Above: Launch Escape System and capsule ready for sea launch test from the support vessel Sputnik. Photo: Copenhagen Suborbitals. 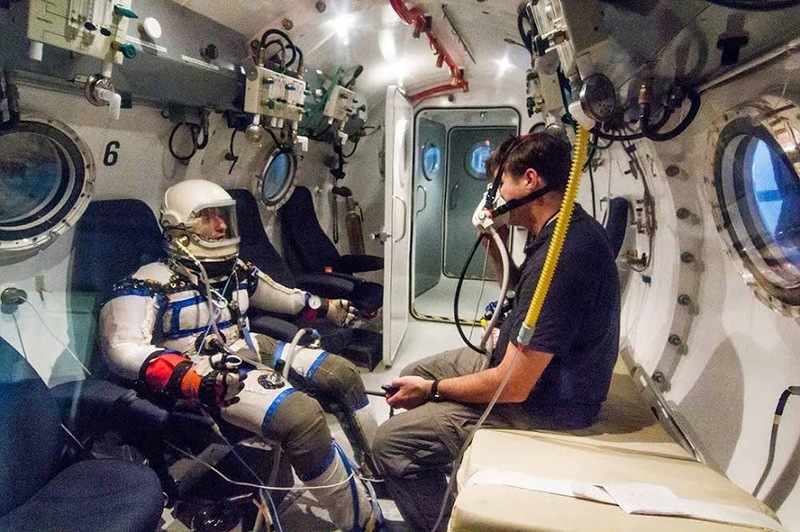 Dr. Cameron Smith (left) and John Haslett (right) in an altitude chamber test in Copenhagen, August 2013. Photo: Copenhagen Suborbitals. Recently we have made contact with other private explorers working on bold plans for space, including the private exploration of Mars. We will reveal these connections as our alliances are established.